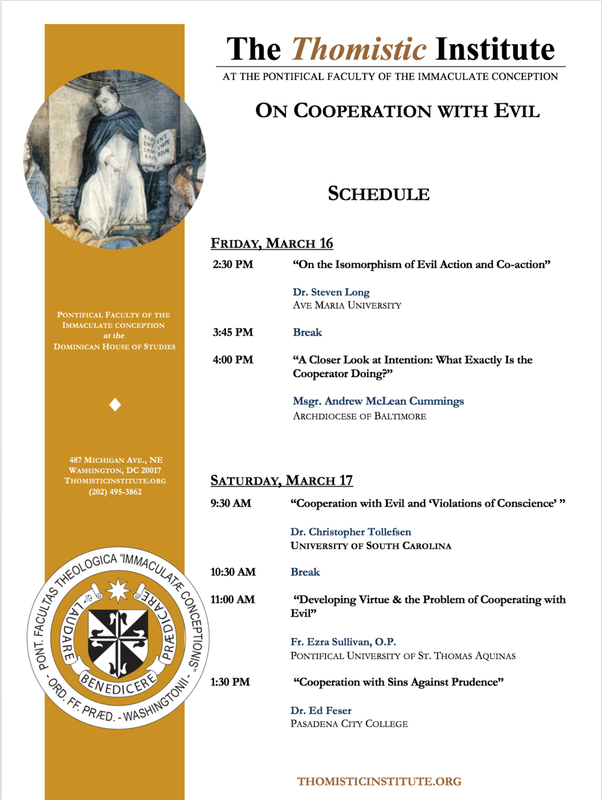 On March 16-17, 2018, the Thomistic Institute held a conference entitled "On Cooperation with Evil" as part of the annual Thomistic Circles series. The conference featured Fr. Ezra Sullivan, OP (Pontifical University of St. Thomas Aquinas, Angelicum), Steven Long (Ave Maria University), Edward Feser (Pasadena City College), Christopher Tollefsen (University of South Carolina), Msgr. Andrew McLean Cummings (Archdiocese of Baltimore).